Citizens were concerned. They voiced those concerns. And it appears their voices were heard. When it was announced in August that Nashville-based HCA Healthcare had reached a deal to purchase Mission Health, many residents of Western North Carolina – most particularly those in the region’s rural communities – had trepidations about ceding control of their health care future to an outside operation. Mission Health is based in Asheville, a city of 90,000 and the economic hub of otherwise largely rural Western North Carolina. It’s a not-for-profit health care system – the only one managed in the region – covering 18 counties. In addition to its flagship medical center, Mission Hospital in Asheville, Mission owns five smaller hospitals in the surrounding rural counties. HCA is a for-profit system that owns 178 hospitals in 20 states. The asset purchase agreement stipulated that a newly formed foundation called the Dogwood Health Trust would manage the proceeds of the sale, with an objective to use social determinants of health to improve the health and well-being of the communities Mission Health now serves. The $1.5 billion deal was contingent on the approval of North Carolina Attorney General Josh Stein. Stein deliberated for some five months, and last week announced that he was granting that approval, but with the addition of significant provisions to preserve the delivery of health care services throughout the whole of the region – provisions that were agreed to by HCA and Mission Health. In the original draft of the agreement between HCA and Mission, HCA committed to providing services at the smaller regional hospitals for five years. That commitment has now been extended to 10 years. The revision also provides more explicit language on exactly what services must be provided. Further, HCA is prohibited from closing any facilities or discontinuing services unless agreed upon by both a hospital’s local advisory board and an independent monitor. That monitor will also regularly review whether HCA is maintaining its overall commitments. Jay Nixon, the former governor and attorney general of Missouri who was brought in by citizen advocates as an advocacy consultant while the attorney general deliberated over the proposed sale, said the addition of this independent oversight is a significant development. Advocates feared that a local advisory board would alone be insufficient protection, given that half of its members would be appointed by HCA, the other half by Mission. Nixon, who, as Missouri’s attorney general, challenged HCA in the courts, is also encouraged by the enforcement powers the agreement vests in the attorney general’s office, and in measures added to maintain transparency. According to the agreement letter, Dogwood Trust will hold public meetings “to discuss the needs of the region and to obtain input on the priorities for addressing the social determinants of health” in Western North Carolina. Equally important to advocates was regional, ethnic and gender diversity on the proposed 15-member Dogwood Health Trust board. Dogwood has committed to having no more than five members from any one county by Jan. 1 of next year and no more than four members from any county by 2021. This is good news for those who feared the board would be Asheville-centric, removed from the concerns of its rural neighbors. The Dogwood board must include at least one member from each of the five regions with a hospital by Jan. 1 of next year. The revised agreement gives the local foundations that oversee the individual hospitals more flexibility in pursuing their own health care initiatives. And the local foundations and Dogwood Health Trust will have the right to bid on hospitals if they’re put on the market or closed. The deal also stipulates that Dogwood will commit $25 million over five years to addressing opioid use disorder. Risa Larsen said the wait for Stein’s decision had been anxiety-inducing; the outcome, sweet. “I’m delighted,” said Highlands Mayor Pat Taylor, who’s been at the forefront of the effort to secure more protections. This is the second story in a two-part series about the sale of North Carolina’s Mission Health to the national HCA Healthcare. Read the first part of the series here. As North Carolina’s attorney general deliberates over whether to approve the sale of the nonprofit Mission Health System to for-profit Nashville, Tennessee-based HCA, a citizens group is asking that, if approved, the deal ensure they have a voice in the future of health care services in their rural communities. The Mission system covers 18 mostly rural Western North Carolina counties. Its flagship hospital is in the region’s largest city, Asheville (population 90,000). 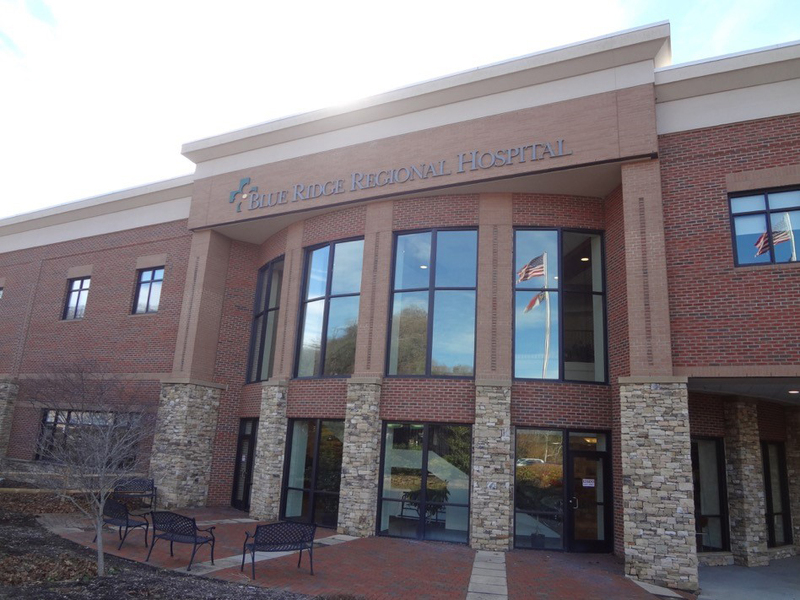 The system also owns five smaller hospitals in the surrounding rural region, which lies in the southern range of the Blue Ridge Mountains. One of those hospitals is Blue Ridge Regional in Spruce Pine, an hour’s drive northeast of Asheville. The town of 2,100 is located near the Blue Ridge Parkway, about 14 miles northeast of Mt. Mitchell, the highest peak in the Eastern United States. Susan Larson is a Spruce Pine resident and a member of Sustaining Essential and Rural Community Healthcare, or SEARCH, which was formed last year when labor and delivery services were discontinued at Blue Ridge. Like a number of her neighbors throughout the region, Larson is anxious about the future of rural health care services. The asset purchase agreement for the proposed Mission sale stipulates that a $1.5 billion foundation, the Dogwood Health Trust, will manage the proceeds and will use social determinants of health to improve the health and well-being of the communities the system serves. Larson is concerned that rural communities will be left out of the decision-making process. SEARCH has brought in as a consultant Jay Nixon, former governor and attorney general of Missouri who, while attorney general, challenged HCA in the courts, charging that the corporation had failed to live up to all of its responsibilities. A $160 million settlement was reached. “Mission is a nonprofit and has built up a significant value, obviously, as laid out by the transaction that’s on the table now,” Nixon said. Tax law requires the value of a nonprofit’s assets to remain perpetually nonprofit. When a for-profit health care company buys a nonprofit system, one way to keep the proceeds in the nonprofit realm is to create a health care foundation that supports nonprofit work. That’s the plan for the proceeds from the sale of Mission’s assets. “People in this community have a very long history of feeling that the hospital is ours,” said Jean Hunt, a resident of Yancy County, which is served by Blue Ridge Regional. “We do not consider that hospital Mission’s. We consider it to be ours.” Blue Ridge opened in 1955 with significant help from a community fund drive. “My biggest concern is that the foundation isn’t independent,” Hunt said. Thus far, nine members of what is proposed to be a 12-to-15-member Dogwood Health Trust board have been appointed. The majority live in Asheville and eight of the nine have current or previous affiliations with Mission. Hunt agrees that such experience is important: “Obviously, we need people on board with specific skill sets.” She believes those individuals can be found in the rural communities. As regards Susan Larson’s concern that HCA might close one or more of the regional hospitals, the purchase agreement stipulates that no services will be discontinued for five years and emergency services must be maintained for 10 – unless a hospital’s advisory board approves the discontinuance of a service or the sale or closure of a hospital. The advisory board at each hospital would have eight members: four appointed by Mission, four by HCA. “I get very concerned about transactions of this nature where you don’t have long-term ironclad guarantees that the facilities and services will remain open,” Nixon said. Nixon too is big on the potential. What Will This Multimillion Dollar North Carolina Hospital Merger Mean for Rural Health Care? The ad was purchased by Nashville, Tennessee-based HCA Healthcare, a for-profit hospital system that owns 178 hospitals in 20 states. While heartened by the prospect of such an investment in health care services in Macon County – a rural county with a population of about 34,000 situated in the southwest corner of the state – a discerning reader might have found this assertion a little premature. A multimillion dollar deal for HCA to buy a health care system that includes six hospitals in Western North Carolina, including Highlands-Cashiers Hospital in Highlands and Angel Medical Center in nearby Franklin, has yet to be approved by the state’s attorney general. For communities in rural counties such as Macon, investment by a large hospital system could mean expanded access to next-generation health care. But some worry that given the pressures of the industry, that large corporation may see no future in providing services in their community, and pull out. They worry that decisions will be made without their input. It takes a good while to get anywhere from Highlands. The town rests on a plateau within the Nantahala National Forest, and though the county seat of Franklin is just 20 miles away, the first leg of that journey is down a serpentine two-lane through the Cullasaja Gorge. Highlands is home to less than a thousand residents in the winter; quite a few more in the summer. The hospital opened in 1951, expanded in 1966, and expanded again and relocated in 1993, all with considerable community investment. Six years ago, succumbing to the pressures of a changing health care landscape in the U.S. – to rising costs and the push to consolidate – the hospital’s board elected to affiliate with Mission Health, an Asheville-based not-for-profit health care system – the only one managed in Western North Carolina. Mission administrators say the same pressures have pushed them to look for a larger health system to take over operations, most particularly the challenges of providing services in remote areas. “I understand; we’re a small market,” Taylor says. “I understand the dynamics of what’s going on, the market forces.” He just doesn’t want to lose his hospital. It was announced in August that HCA had come to terms to purchase Mission Health, which owns and operates a large hospital in Asheville and five smaller ones throughout mostly rural Western North Carolina. But the deal must first be approved by North Carolina Attorney General Josh Stein. The agreement calls for a $430 million commitment from HCA in capital expenditures. Such investment comes as good news for Western North Carolinians, as does, at least in theory, the announcement of a $1.5 billion foundation called the Dogwood Health Trust that will manage the proceeds of the sale. The foundation will include a governing board made up of members appointed by Mission, with the goal to improve the health and well-being of the communities Mission Health now serves. But a number of rural residents throughout the region are intent on seeing to it that the deal doesn’t shape up to be Asheville-centric. Asheville, with a population of 90,000, is the hub of Western North Carolina and home to Mission’s flagship medical center, Mission Hospital. None of the counties that are home to Mission’s regional hospitals have a town of more than 10,000. Rural residents are asking that this deal be of benefit for years to come for the whole of the region – that health care services in their more remote communities don’t get lost in a megadollar transaction. “I just think it’s healthy for the public to have a discussion about these issues,” issues that include assurances for access to care in his community, Taylor says. Taylor’s concerns over access aren’t unfounded. These are tenuous times for health care services in rural America. In September, the U.S. Government Accountability Office reported that between 2013 and 2017, 64 rural hospitals closed, more than double the rate of the previous five years. Making it as an independent is increasingly difficult. Researchers at the North Carolina Rural Health Research and Policy Analysis Center write that rural hospitals face Medicare reimbursement cuts if they’re unable to meet quality and technological standards, but often don’t have the capital to make the necessary improvements. The researchers also point out that patients at small, rural hospitals tend to be relatively older, poorer and sicker, with a higher percentage covered by Medicare or Medicaid or who have no insurance at all. Merging with a larger hospital or system is often the only alternative to closure. Further, a recent study from the Colorado School of Public Health found that hospitals in states that haven’t expanded Medicaid, as allowed for under the Affordable Care Act, are six times more likely to close than those in states that have. The North Carolina Legislature has thus far elected not to expand Medicaid. One more source of concern for Western North Carolina’s rural residents: The Government Accountability Office found that while only 11 percent of rural hospitals in the country are owned by for-profits, 36 percent of those that closed in that five-year period were for-profit owned. HCA is a for-profit corporation. Taylor and others feel that Mission has a responsibility for how that potential unfolds. Jay Nixon, a former governor and attorney general of Missouri, has been brought in as a consultant by citizen groups. Nixon previously challenged HCA in the courts, claiming the corporation did not live up to the terms of its contractual agreement to make capital improvements at hospitals the company purchased in the Kansas City area. Last year, the state won that lawsuit. Attorney General Stein has expressed three fundamental concerns with the agreement as it stands: Are there sufficient provisions to ensure the continuation of certain services, is the $1.5 billion price tag enough and will the board tasked with managing the money represent the diversity of the region? “The people of Western North Carolina have been investing in these hospitals for decades and they should benefit from all the value that has been accrued over time,” Stein said. Highlands Mayor Patrick Taylor traveled to Raleigh to meet with Stein’s office, and he’s confident that his neighbors’ concerns are being heard. One provision in particular that Taylor would like to see included in the final agreement is that if HCA should decide to close a hospital, the attorney general’s office must be informed, must be given a justification and would have oversight to review why HCA believes it’s necessary. 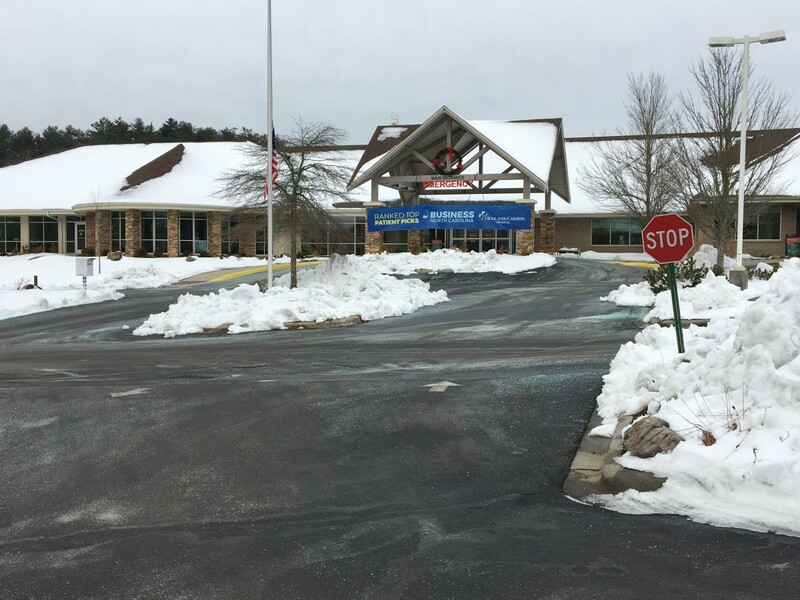 The town of Highlands passed a resolution in September asking that the agreement stipulate that if HCA should undertake to sell Highlands-Cashiers Hospital, the community would be given notice and a local entity would be offered the first opportunity to buy it back. Taylor and his colleagues recognize that they wouldn’t be able to make a go of it as an independent. They’d have to then find another partner. Taylor’s best-case scenario is that HCA “would come in and invest in services and be creative in remaking the hospital.” He notes that HCA has hospitals in Florida where they could provide reciprocal services for many of Highland’s seasonal residents. This is the first story in a two-part series about the sale of North Carolina’s Mission Health to the national HCA Healthcare. Read the second part of the series here.